Last week, we reported that Tri-Star and The Jim Henson Company are moving forward with a reboot of the 1986 cult classic Labyrinth. The studios brought on Guardians of the Galaxy writer Nicole Perlman to write the script, although no story details were given at that time. 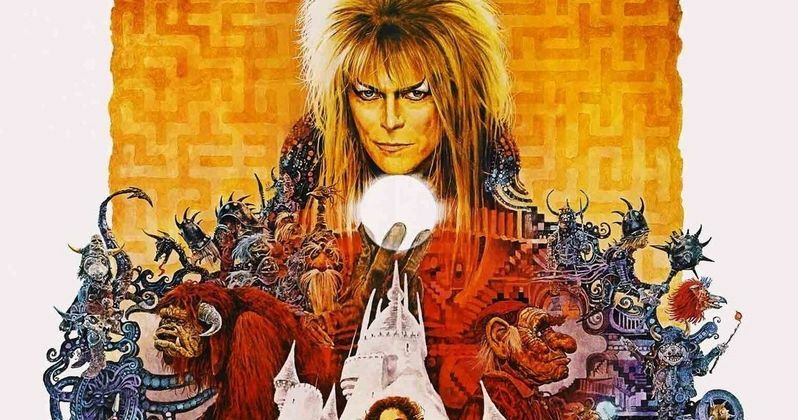 Over the weekend, the screenwriter took to her Twitter page to clear the air on this new version of Labyrinth, which she says is not a reboot, but rather a "continuation." Take a look at her statement below. "Not 'rebooting' anything, guys. Henson Co & I started talking in late 2014, so the timing of these rumors is so upsetting. I would never seek to profit from Bowie's death. Labyrinth is my favorite film from childhood, so I share your concerns that any continuation of the world be handled with love and respect." The news of this new project came just days after the death of original Labyrinth star David Bowie. The original Labyrinth centered on a young teenager (Jennifer Connelly) who is given just 13 hours to navigate a complicated maze in order to save her little brother, after her wish to take him away is granted by the Goblin King (David Bowie). The supporting cast was rounded out by Toby Froud, Shelley Thompson, Christopher Malcolm, Natalie Finland, Shari Weiser and Brian Henson. The original film only made $12 million at the box office and was plagued by negative reviews at the time, but it went on to become a cult classic several years later. The film also marked Jim Henson's final foray as a director, with a script from Monty Python member Terry Jones, based on a story by Jim Henson and Dennis Lee. George Lucas also served as an executive producer. It isn't known if this project will significantly alter the story or not, or when the story is actually set. What remains to be seen is how the original Labyrinth's story will continue, 30 years after the original was released. Since this isn't a reboot, it's possible that Jennifer Connelly could reprise her role as Sarah in this new adventure, but we don't know for sure. While we wait for more details, take a look at Nicole Perlman's tweets below, and we'll be sure to keep you posted with any and all updates on Labyrinth.